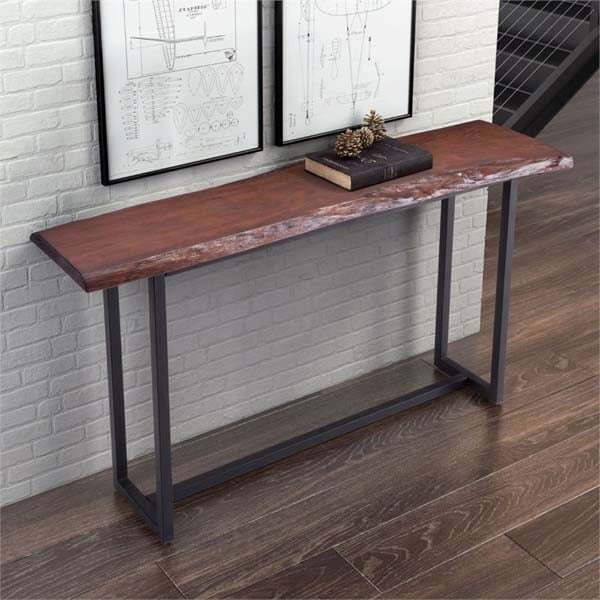 Add the Papillion console table to entry or living rooms for a touch of sophistication as the rich dark distressed cherry oak finish and live edge detail are the perfect combination. Contrasting black metal base in a slim yet sturdy geometric design will make for a bold and dimensional design statement. Sold seperately collection includes dining table, dining chairs and console table.